In a small pot, combine the beans, spices, hot sauce, and stock or water. Cook, covered, over medium-low heat, stirring occasionally, for 20 minutes, until the beans have softened and the sauce has thickened. The consistency will be slightly firmer than baked beans. Serve immediately, or keep in the fridge for up to a week. 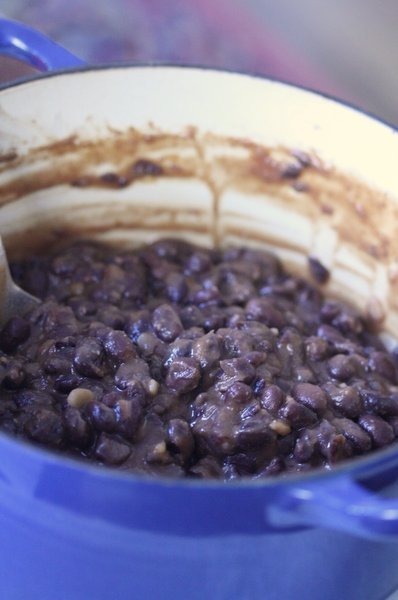 Reheat in the microwave and add a little more liquid (water or stock) to loosen up the beans.